Fairfax County Police say residents need to be on the lookout for black bears. 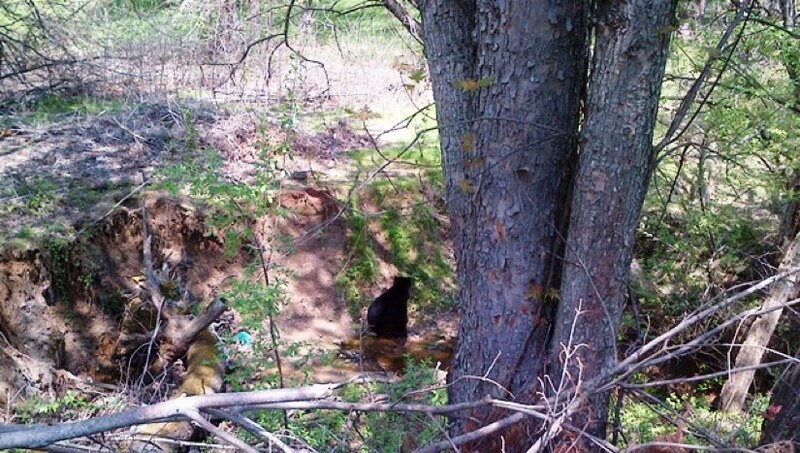 Over the weekend, there were several bear sightings in Vienna, said Fairfax County Police spokeswoman Lucy Caldwell. A bear was reportedly hit on the Dulles Toll Road Saturday morning between Beulah Road and Hunter Mill Roads, the latter of which borders Reston. A resident of the 1600 block of Fremont Lane in Vienna called in a report of a bear in his backyard Saturday at about noon. Caldwell said police do not know if it was the same bear or two different bears. There are usually a few bear sightings each year — there were several near Baron Cameron Road and Reston Parkway a few years ago — says Caldwell. However, late April is very early for the bears to be out, she said. Animal Control Officers say should not panic or feel alarmed when they see one. Bears typically avoid humans, but in their search for food it is not uncommon to see one. Most often, bears will keep moving through an area once they fail in their attempts to find food. Unless the animal is sick or injured, or poses a threat to public safety, animal control officers do not take actions to attempt to remove bears from a neighborhood. Black bears have a natural fear of humans, and in most cases, would rather flee than encounter people. If addressed quickly, wildlife issues caused by food attractants in yards can be resolved almost immediately. • Do not store trash on porches, decks or in vehicles. • If a bear is sighted in your neighborhood, remove birdfeeders. • Take garbage to the curb on the morning of pickup, rather than the night before. • Consider installing electric fencing around gardens, dumpsters and other potential wildlife sources. Electric fencing is an inexpensive and efficient proven deterrent against bears.